If you like bush walking and hiking then consider tackling the Bibbulmun Track. Some of Western Australia's most beautiful landmarks can be seen along the Bibbulmun Track Trek including forests, beaches, national parks, wildflowers and mountains, all of which are easily accessible and the walk can be done at your own pace. 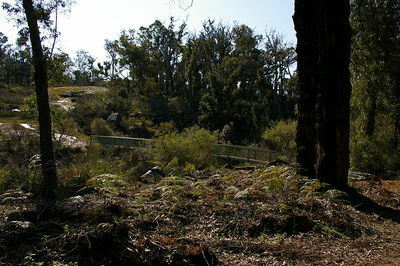 The Bibbulmun Track is one of the longest, continually marked tracks in Australia. Covering 964 Kilometres from Kalamunda to Albany, this track is popular with groups and individual walkers. The track has marked sections so you can do a day or overnight trek or you can strive to complete the whole track which can be a tough, strenuous, endurance trek. 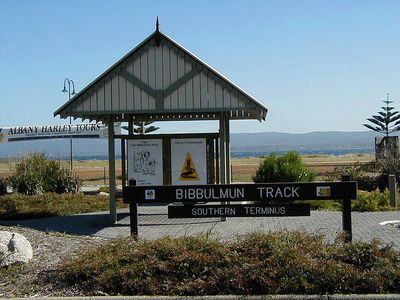 It can take roughly six to eight weeks to complete the whole Bibbulmun Track from start to finish. The Bibbulmun Track consists of 58 sections, each section is approximately a one day walk and at the end of each section there is either a town or a campsite. During your trek you will see many attractions such as Mundaring Weir, Mt Cooke, Murray River Valley, Karri Forests, and Tingle Forests. You will also see many stunning birds and wildflowers plus the coastal scenery of the south coast and seals, whales and dolphins along the coast. The track passes through nine towns along the way, all of which offer accommodation and a variety of places to replenish your supplies. The towns the track passes through include Dwellingup, Collie, Balingup, Pemberton, Northcliffe, Walpole and Denmark. There are 48 campsites along the track, each campsite has a timber shelter, toilet, rainwater tank, picnic table and a tent site. The shelters can accommodate approximately eight people but it is suggested that you take a tent and sleeping bag in case the shelters are full. At various stages, all along the Bibbulmun Track, there are boot cleaning stations to prevent the spread of disease such as die-back. The Bibbulmun Track also has many built in facilities like boardwalks, footbridges and lookout posts to help you on your trek. 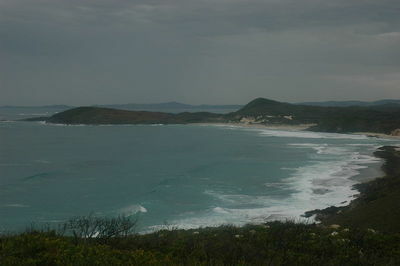 The majority of people do the Bibbulmun Track walk for one day or a couple of days at a time, tackling only part of the walk. The most popular time to do the trek is during spring (September to December) as this is milder weather and wildflower season. During summer the weather can be extremely hot and in winter it gets very wet and muddy. However, if you don't mind these conditions you can walk the track at any time. For outdoor enthusiasts the Bibbulmun track is a fantastic walking opportunity. It is possible to book a fully supported, organised group walking holiday along the track or some adventurous people like to do the walk on their own. There are a variety of walk options in each area with different lengths and difficulties and a choice of a 'one-way' walk or an 'out and back' walk. If you are thinking of having a go, it is important to plan and prepare for the Bibbulmun Track walk. Make sure you have the right equipment, clothing and footwear, a map and guide book, food and water. You can find loads of helpful details and information about the walk, how to plan a walk and what equipment to take with you at the Bibbulmun Track Website. I've recently migrated to Perth and would love to do this track, I've never done any tracks hence would love to join a group. Do you know of any such groups or can you recommend any sites where I can get more info? Great Blog thanks.